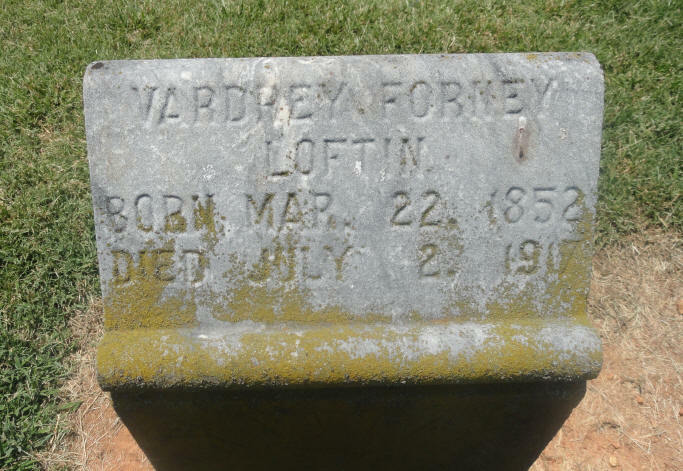 Vardrey Forney Loftin was the fourth child born to Langdon A. Loftin and Sarah Ann "Sena" Link. He was born 22 Mar 1852 in North Carolina. 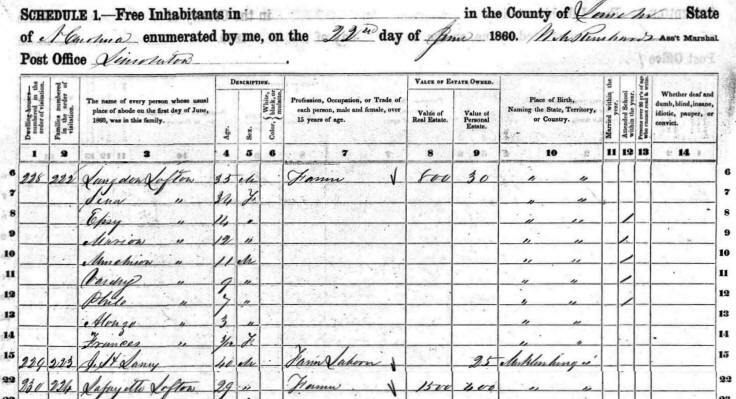 According to the 1860 Lincoln County Census, Langdon and Sena were living on the family farm with seven of their children: Epsy, Marion, Murchison, Vardry, Philo, Alonzo and Frances. Vardrey was 9 years old at the time. His uncle Lafayette Loftin was living nearby. 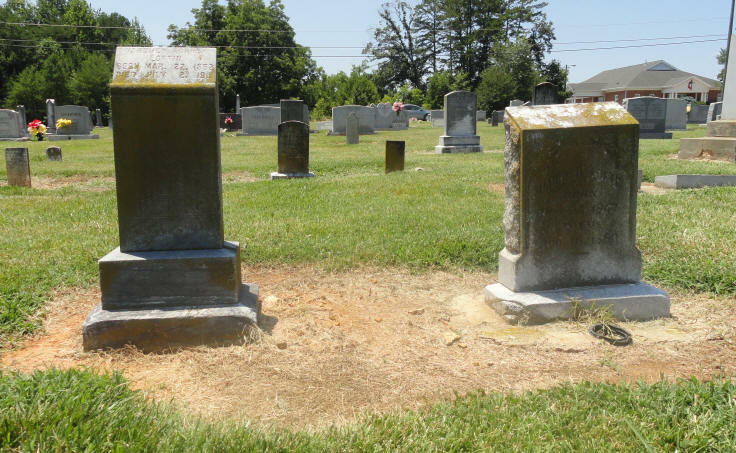 Sena " 34 F "
Alonzo " 3 M "
Frances " 3/12 F "
According to the 1880 Lincoln County Census, Langdon and Sena/Cenie were living in the Catawba Springs Township of Lincoln County. There were six children still living in the family home: Epsie, Vardrey, Philo, Frances, Alonzo, Sarah and Ida. Eldest son Marion was living nearby with his wife, Sarah, and their children. Vardrey was 29 years old at the time and his occupation was "works on farm". 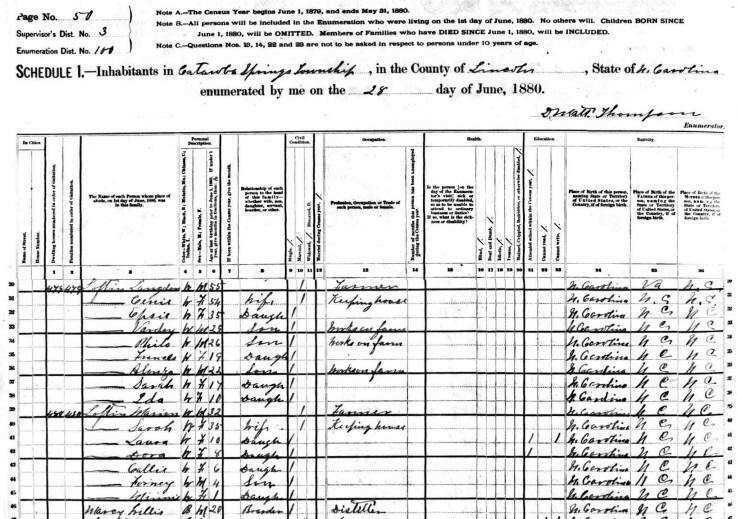 The 1900 North Carolina Census shows Vardrey living with his brother Alonzo Kelly Loftin and his family in Gastonia, Gaston County, NC. The census shows has age as 50, but he was really about 48. Vardrey's occupation is listed as a carpenter and he could read and write. Vardrey died 2 Jul 1917. 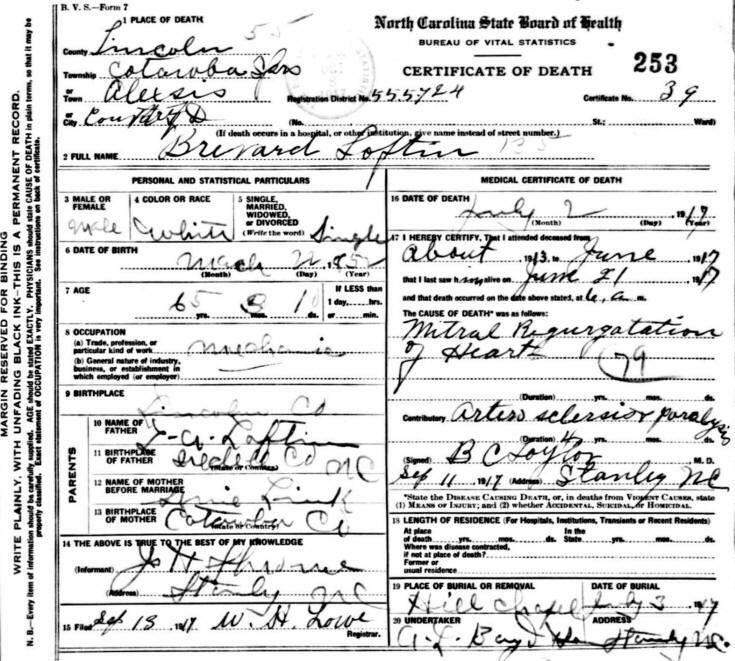 His death certificate lists his name as "Brevard Loftin and shows that he died from heart trouble as well as Artero sclerosis & paralysis. His parents were listed - L.A. Loftin and Cenie Link. His occupation was listed as mechanic and his age was 65. 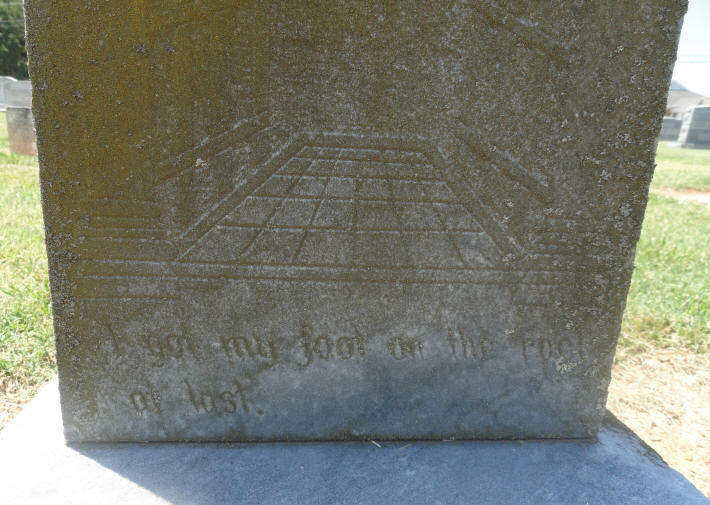 "I got my foot on the rock at last"
please contact me at 828-241-2233.